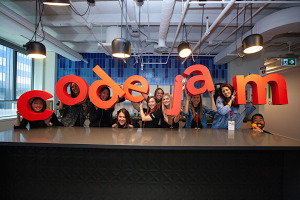 Editor’s note: Leading up to Bett, one of the largest education technology conferences in the world, we'll be sharing stories about the teachers, students, and administrators using educational technology to help schools flourish and make learning more interactive and impactful. If you're attending Bett, be sure to visit Google for Education at stand C230 to check out Google Expeditions and sign up for the U.K. Expeditions Pioneer Program. Last autumn, we brought Google Expeditions to the U.K. In just a few months, half a million students have gone on virtual field trips to places they couldn't otherwise go—places like outer space, historical sites on another continent, and inside the human body. Students explore with the help of Google Cardboard, a virtual reality viewer that works with a smartphone, while their teachers guide the trip using a tablet. Today, we’re adding 58 new destinations, which means students and teachers now have more than 500 Expeditions to choose from. We’re also updating 35 of the most popular Expeditions with detailed photos, videos and even sound to make them more interactive. We’ve partnered with the British Museum to create an Expedition exploring the Mayan Ruins of Quiriguá, Guatemala, and with the National Trust for Scotland for a tour of a Victorian era printing factory and the home of Miss Agnes. Students can explore the deep oceans of Bermuda, Canada, the Sargasso Sea, and the high seas in between on Nekton’s NW Atlantic Expedition. Beyond landmarks, students can even travel through time for a culturally immersive experience. "Vikings: Way of the Warrior" lets students join with the legendary Norsemen while they’re worshipping Odin, hunting, and telling tall tales in the mead hall. Teachers can find lesson plans for these Expeditions and many more at #googleexpeditions on TES. 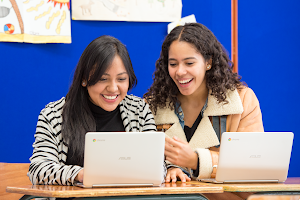 To bring Expeditions to your school, you can sign up online to have a Google representative visit. While Expeditions can be used with many of the devices schools or pupils already have—both smartphones and tablets—schools in the U.K. can now purchase a complete Expeditions kit from Redbox VR. The kits include student and teacher phones, VR headsets, a charging case with router and a mobile student cart. 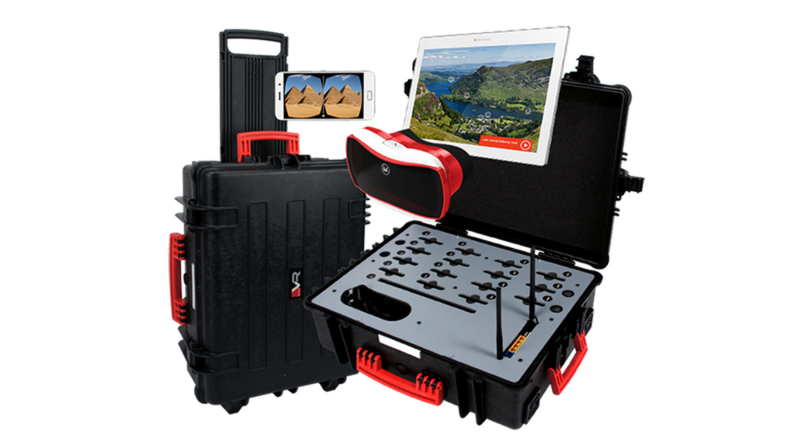 The Redbox VR kit, which includes everything a school needs to take their students on an Expedition. To learn more about the U.K. Expeditions Pioneer Program and sign up, visit our Pioneer Program page. Happy exploring!